The macfixer has experience with all models of Apple Macintosh Computers and Operating Systems, including the amazing Mojave. We provide service and support on site at your Office or Home at a time that suits your business or personal needs. The macfixer also is able to provide ongoing support and maintenance for all your Apple Mac needs. We believe that fixing your Macintosh in your location, ensures that any local Accessories and Network problems can be fixed "in situ". Put simply, it just makes sense to work on and setup your equipment where it is actually going to be used. If you use or own an Apple Macintosh Computer, you will need the quality service and experience of the macfixer. We can help with with setting up a new or secondhand Mac, copy of Data from your old Mac to your new Mac, adding additional Memory or upgrading of Hard Drives, upgrading the Operating System to the latest version of macOS 10.14 Mojave, setting up Printers and Scanners, adding new Computers to your Network etc. We can offer advice before you purchase to ensure that your computing needs will be met. If you are moving from a PC to a new Mac, the macfixer can move your data, emails, movies, pictures etc. from your old PC to your new Mac. We can solve all your problems with your Software, Hardware and Operating System. The macfixer keeps abreast of all the Developments on Apple Macintosh Computers and reads many Newsgroups and websites so that we are aware of the problems that others are having and know the solutions to getting your Mac running again. 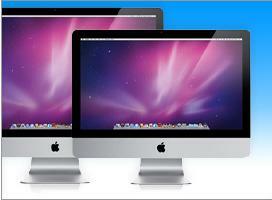 Over the years we have developed extensive Troubleshooting Skills that will fix your Macintosh quickly. Have you just purchased a High Speed Internet Connection ADSL, Satellite, Cable or Wireless? We can help setup your Dial up, ADSL, Satellite, Cable or Wireless Connection to the Internet. Advice can be provided on the appropriate Modem and ISP plan that suits your needs. Did you know that this connection can be shared amongst your Macs, iPhone, iPad and iPod Touch? You can browse the www simultaneously, share Printers and Scanners, Network Hard Drives and move Files between Computers. We can also assist in cases in which USB only Modems and Satellite Connections are employed, where a networking solution can be at times difficult to facilitate. The macfixer can provide Tuition for the Beginner; how do I connect to the the Internet, up to how do I setup a template in Pages to show my Address details in a new Letter?. We can provide Training at a pace to suit you to help you get the most out of your Macintosh Computer. As a Digital Camera User, the macfixer can help with your Digital Photography needs. Some Cameras supply software, but Apples iPhoto is an excellent way to organise your photos. If you need advice on Camera Purchase we can provide independent buying advice.